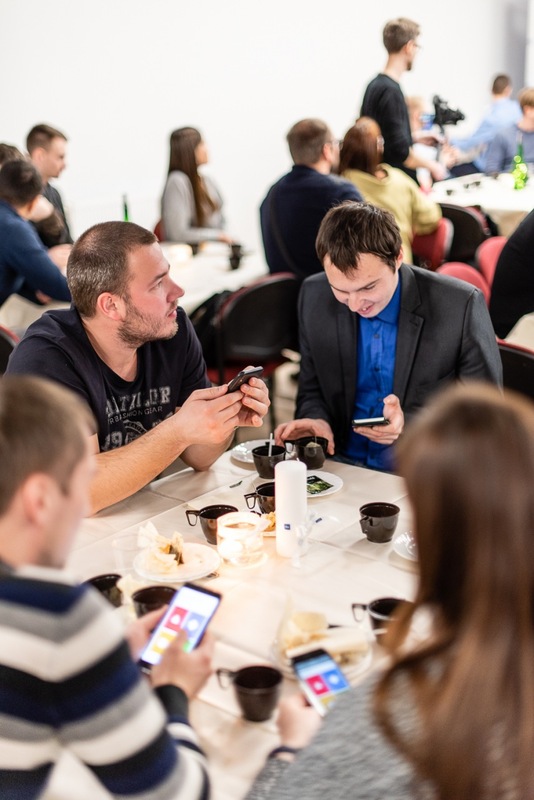 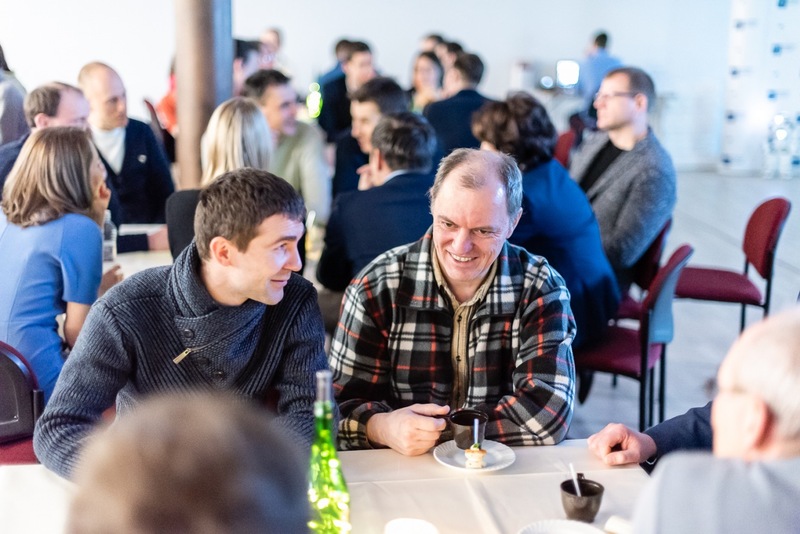 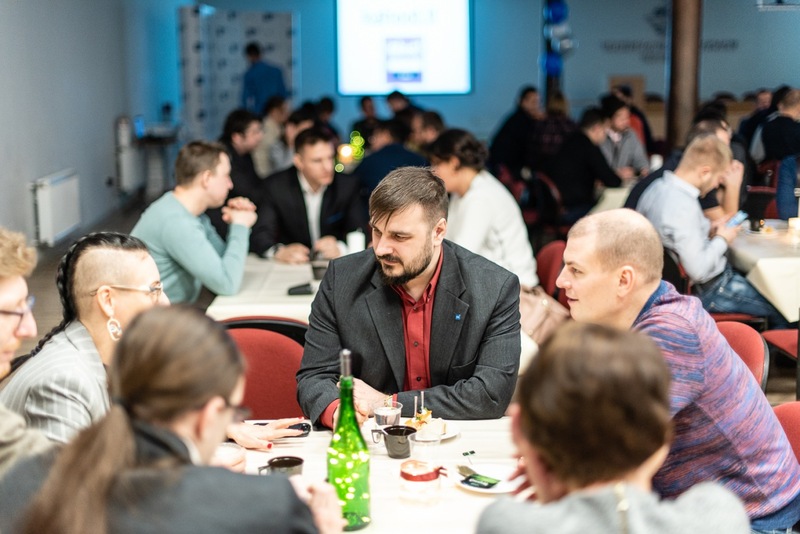 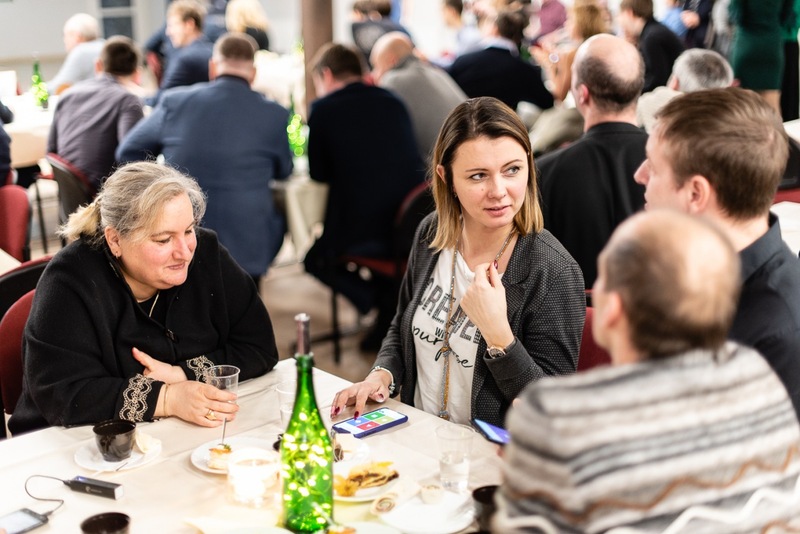 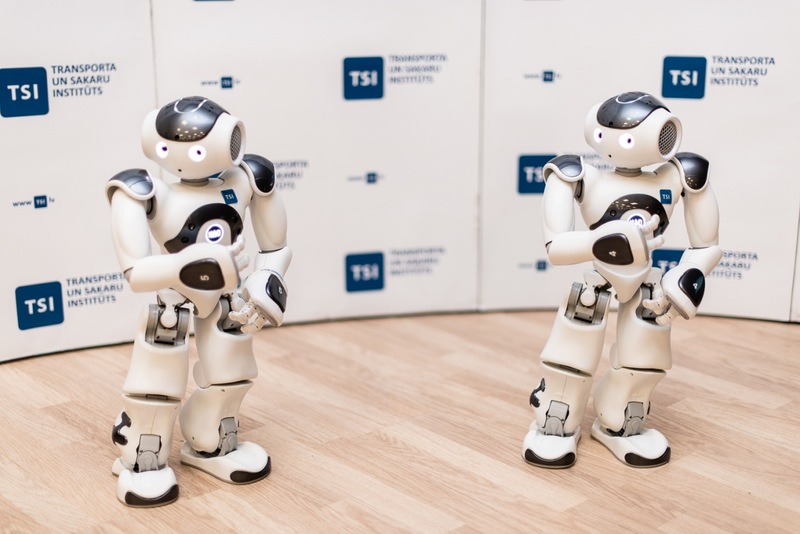 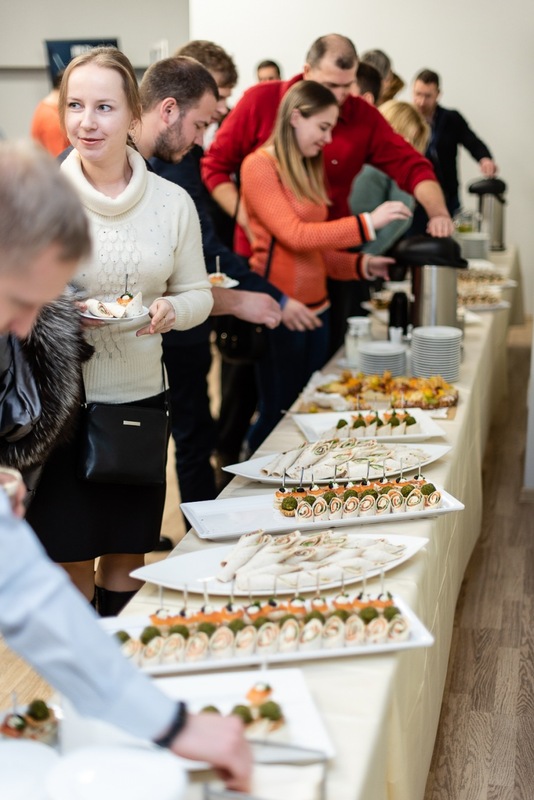 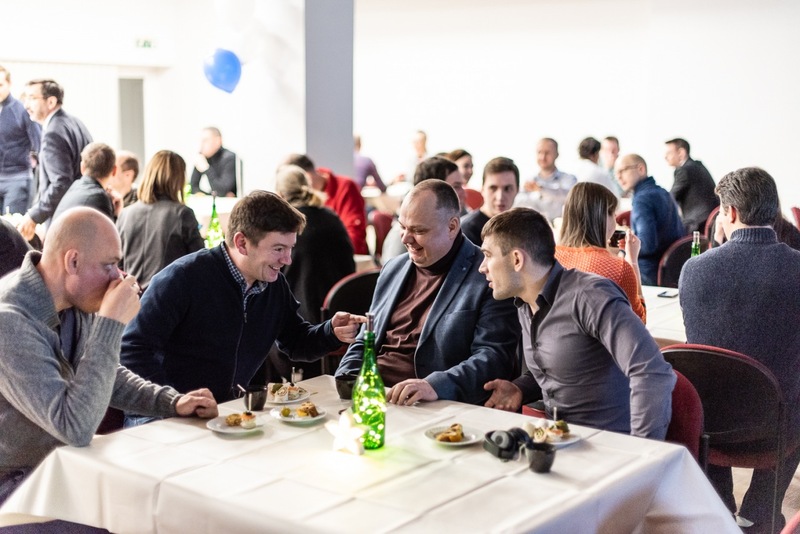 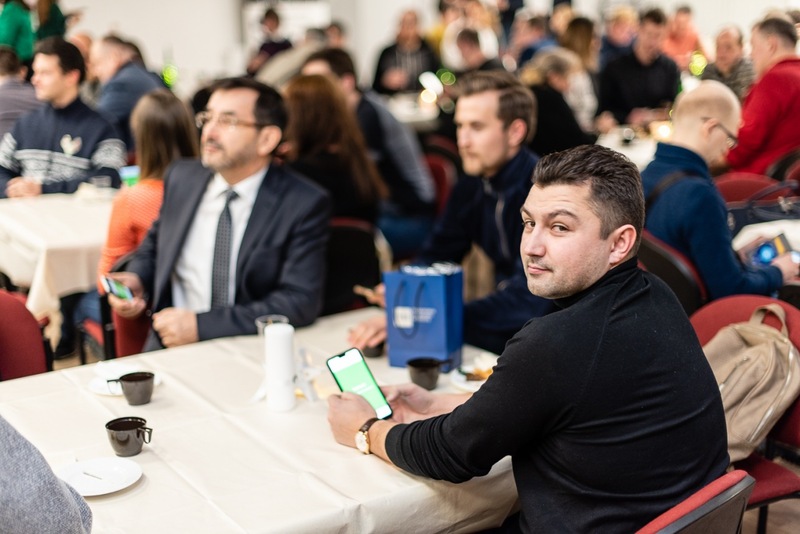 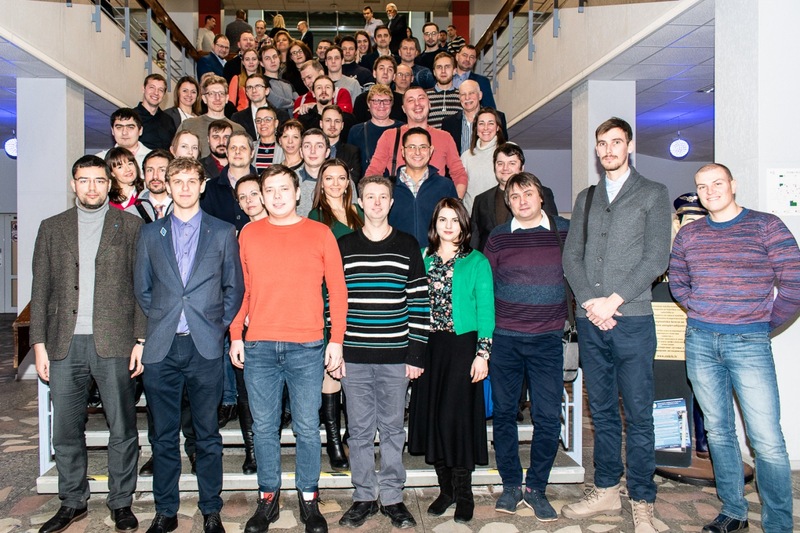 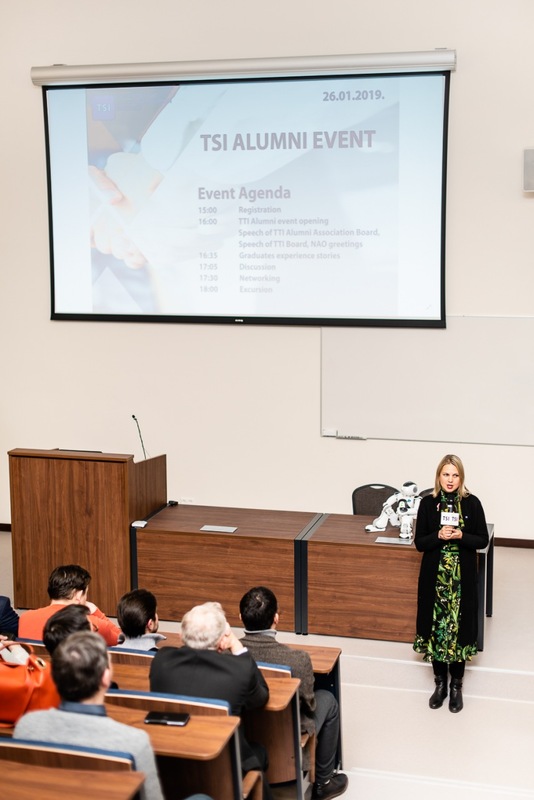 On 26 January, at the Transport and Telecommunication Institute (TSI) in positive atmosphere took place Alumni Event. 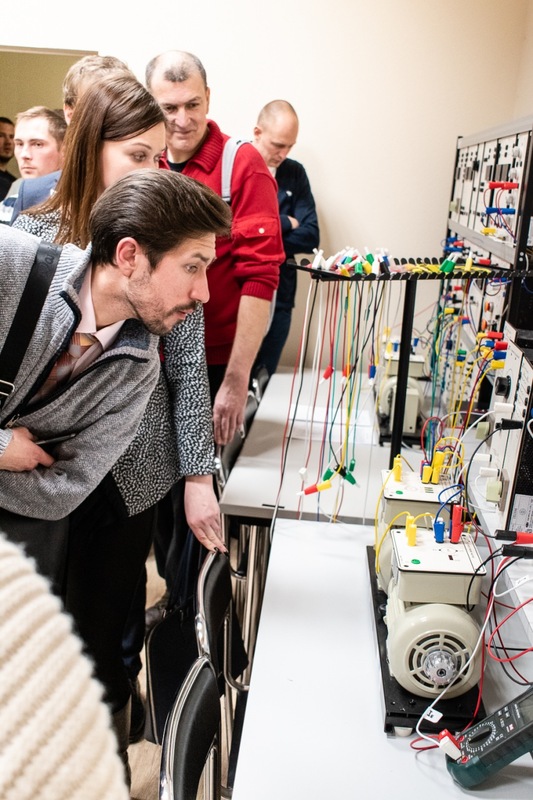 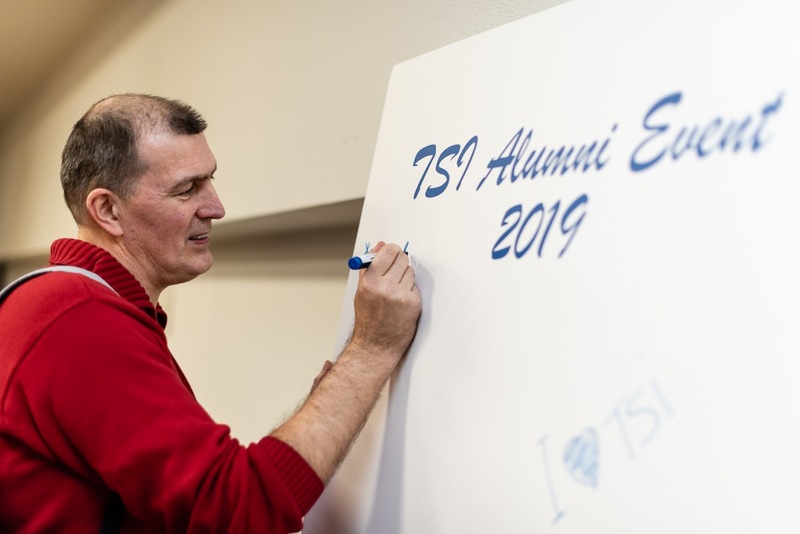 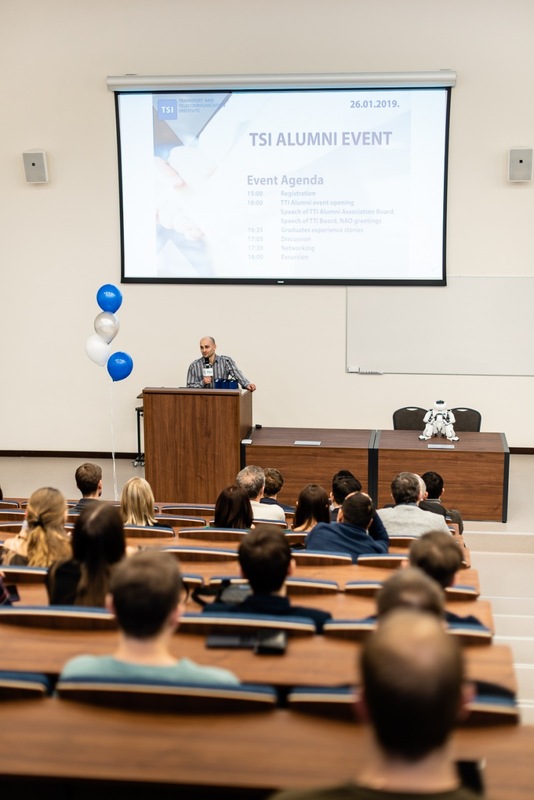 Event brought together more than a hundred graduates from different graduation years, representatives of different industries, company owners, CEOs, programmers, managers, designers, engineers, logistics specialists, project managers and TSI professors. 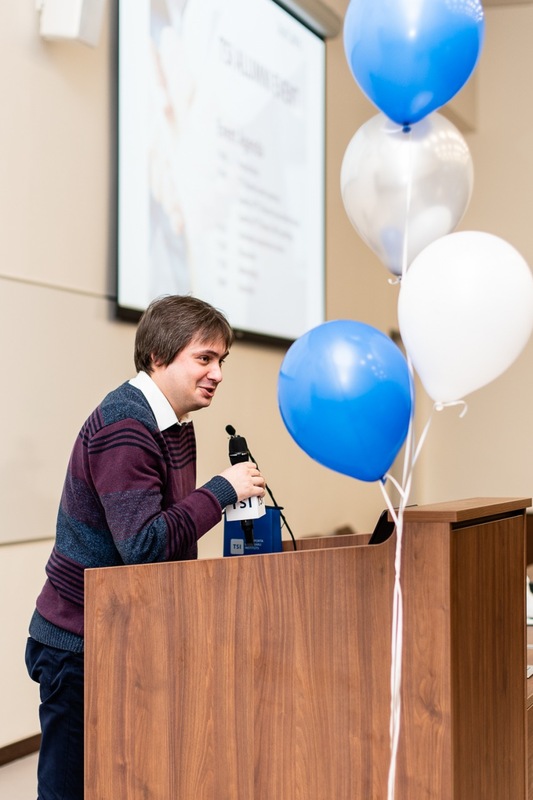 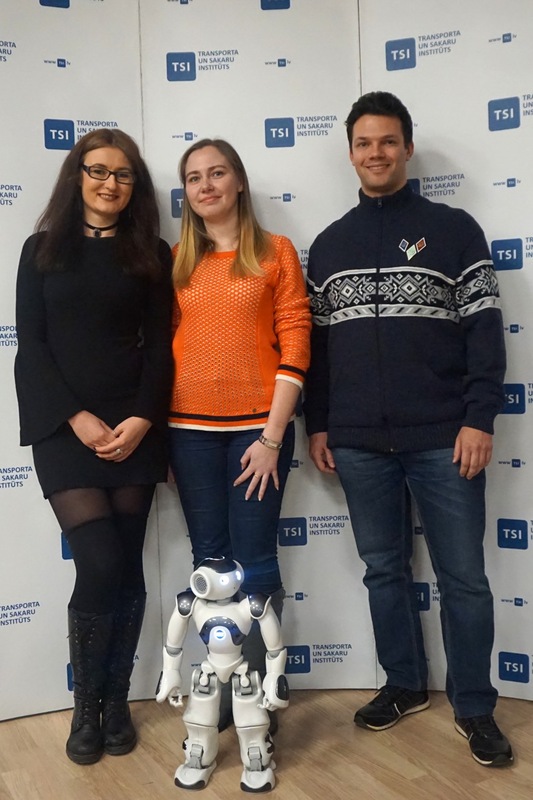 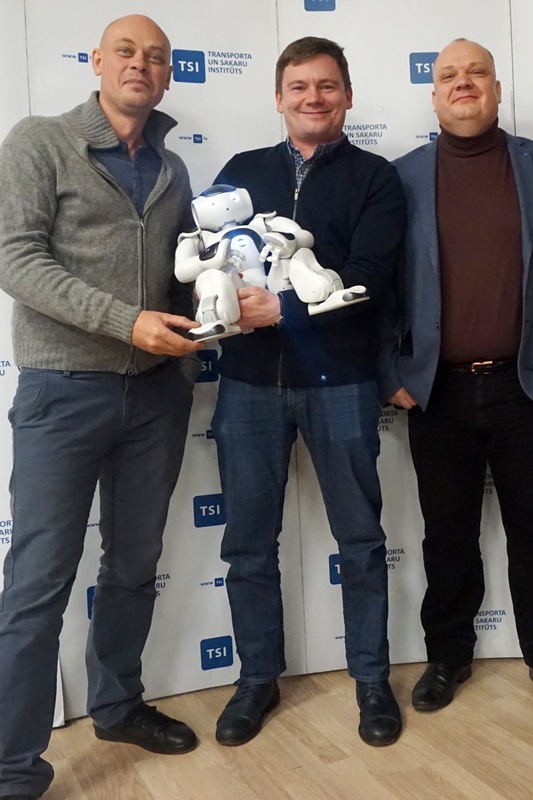 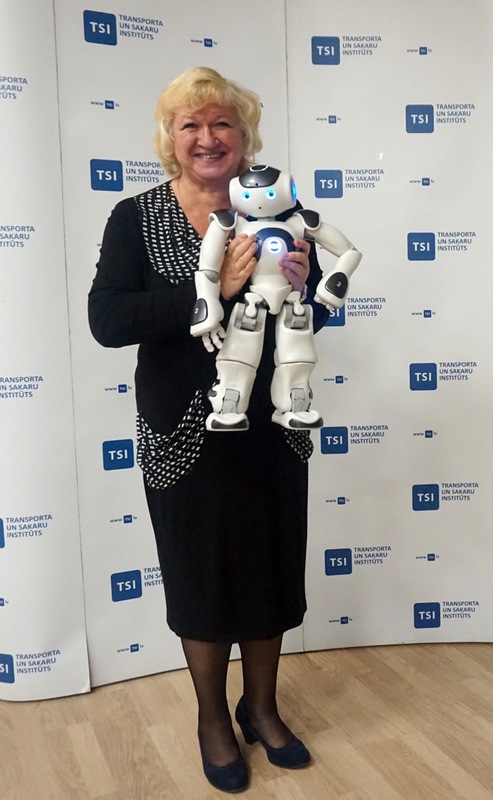 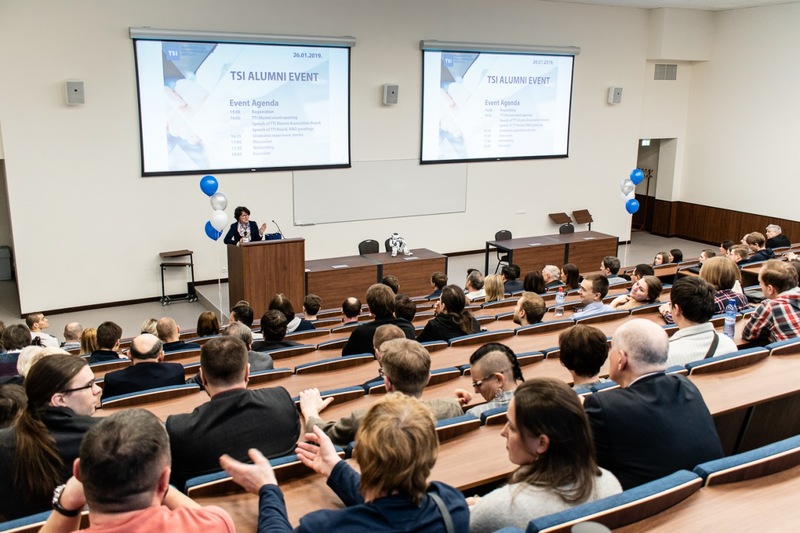 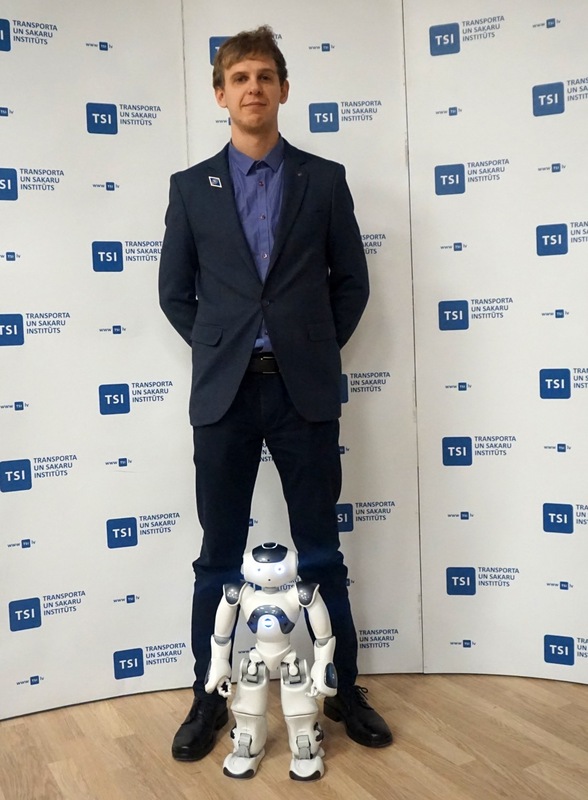 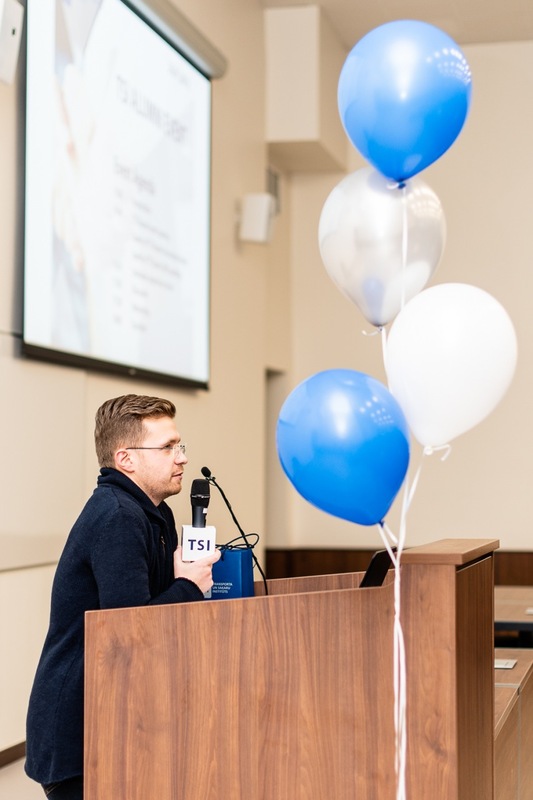 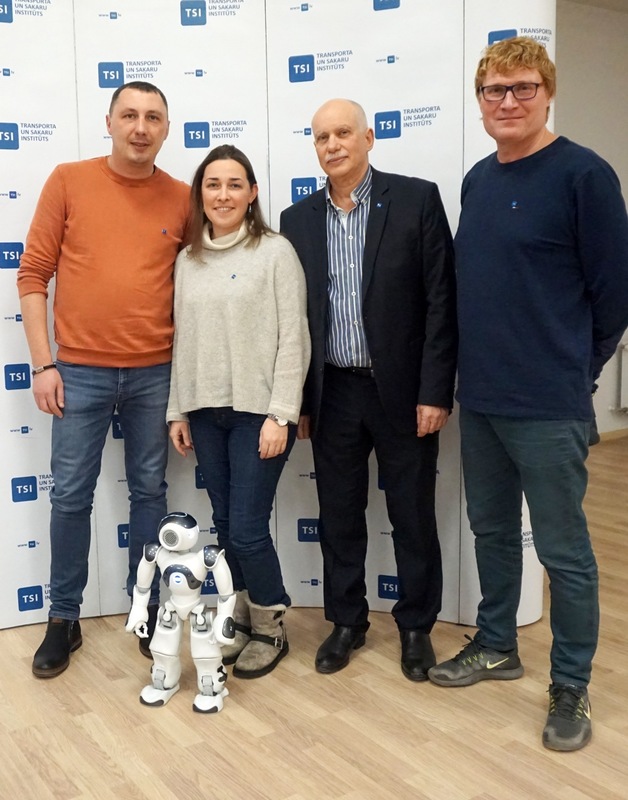 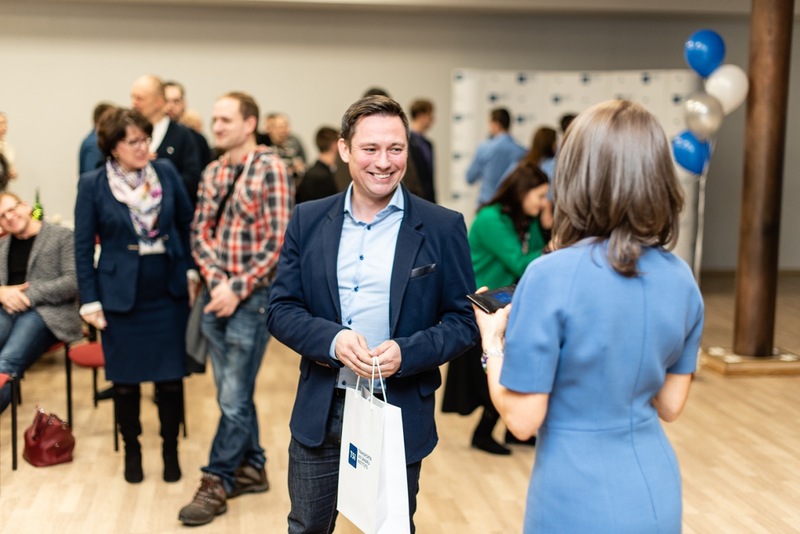 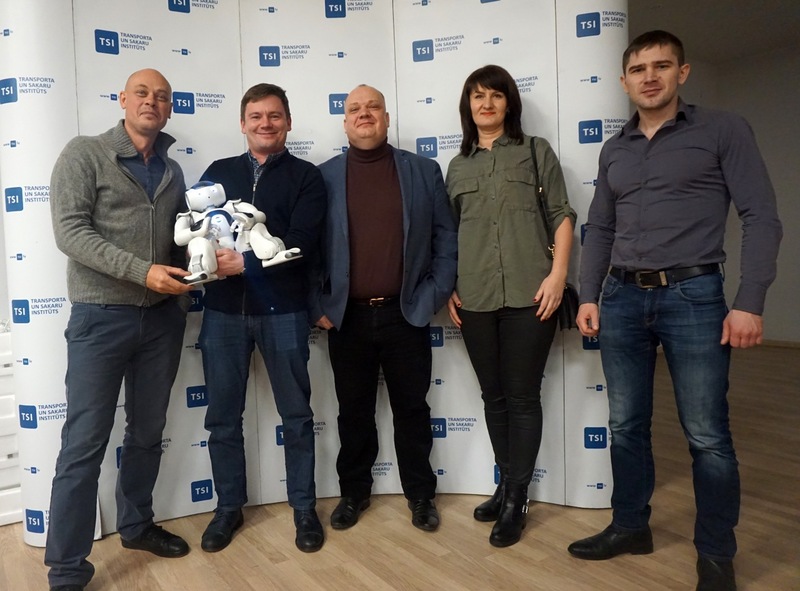 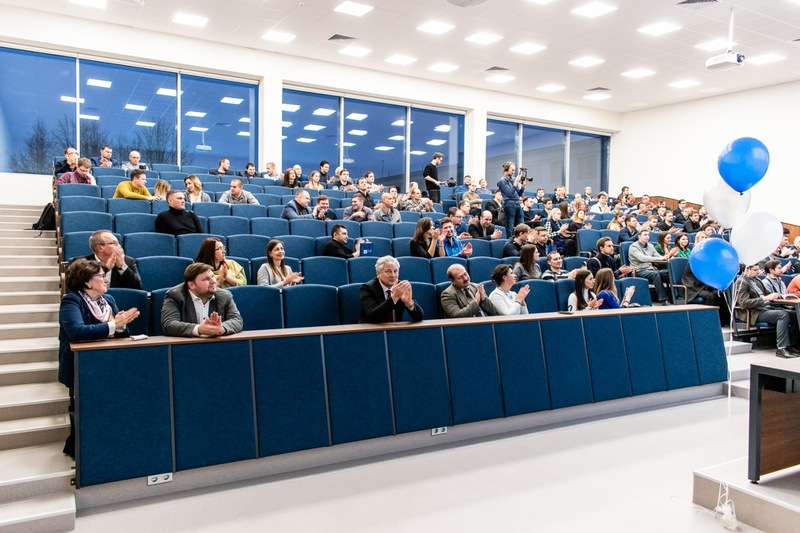 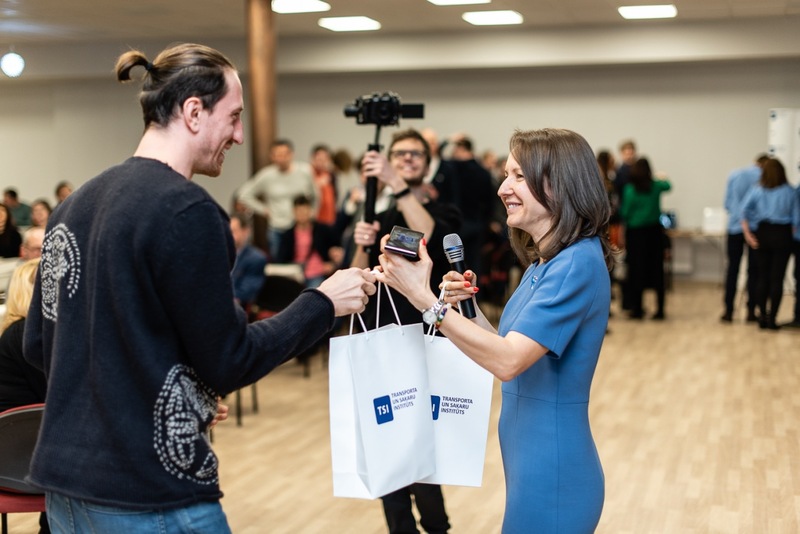 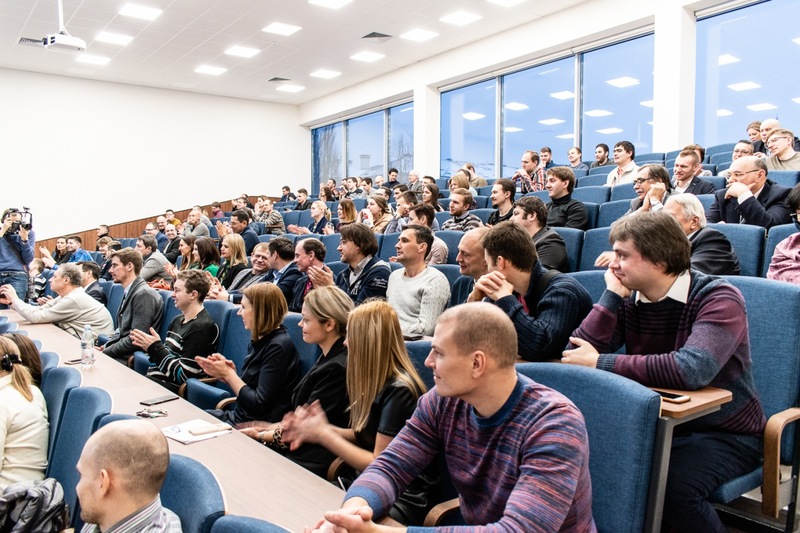 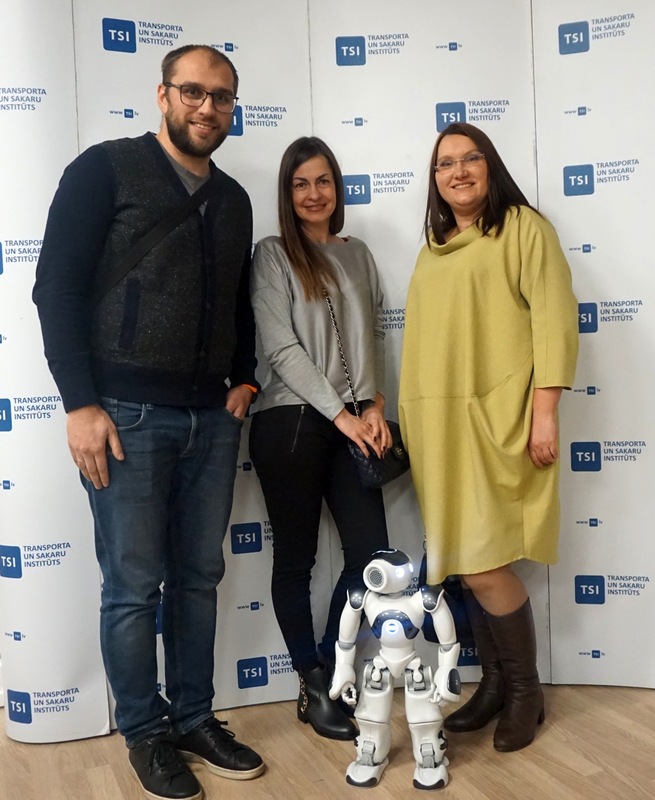 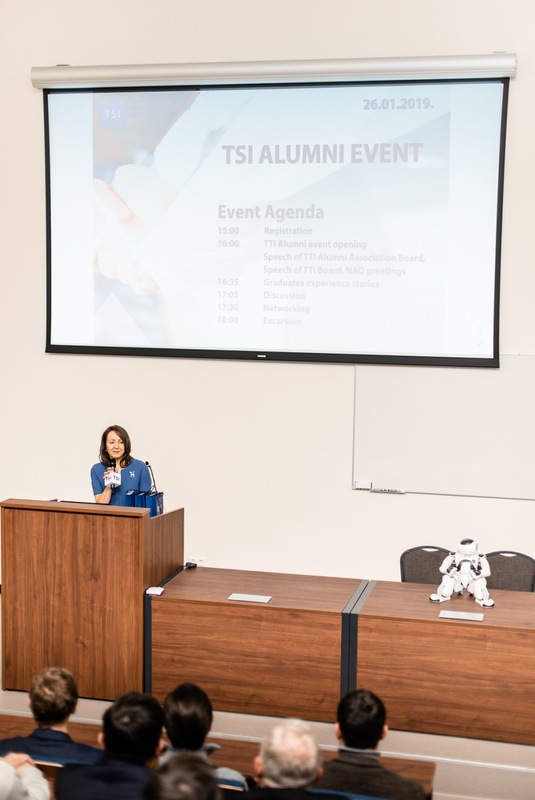 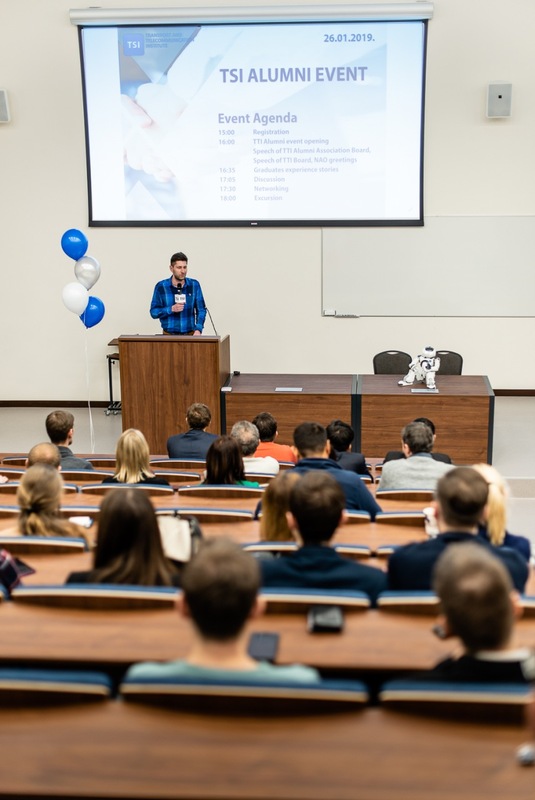 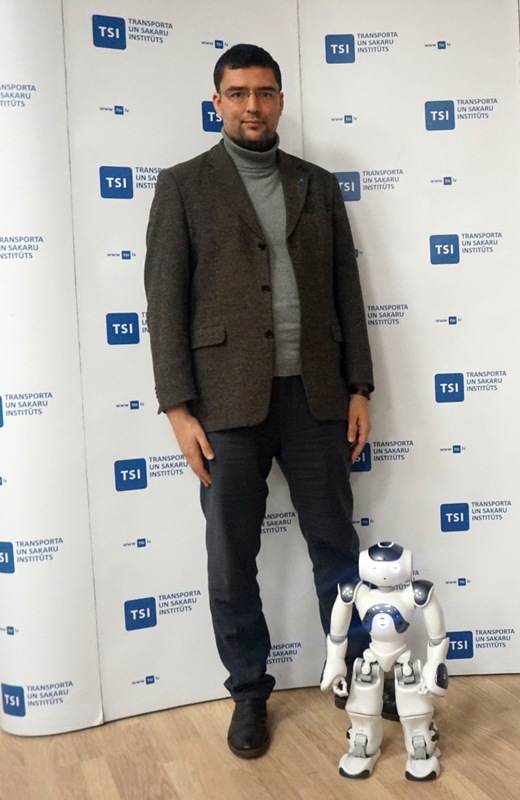 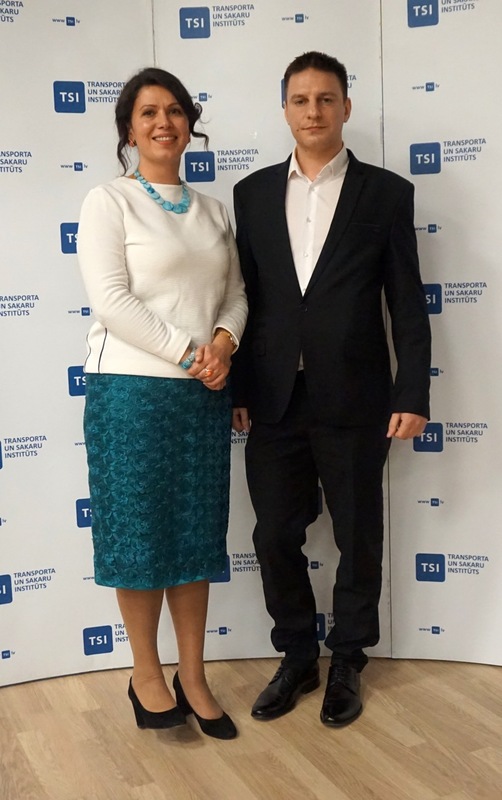 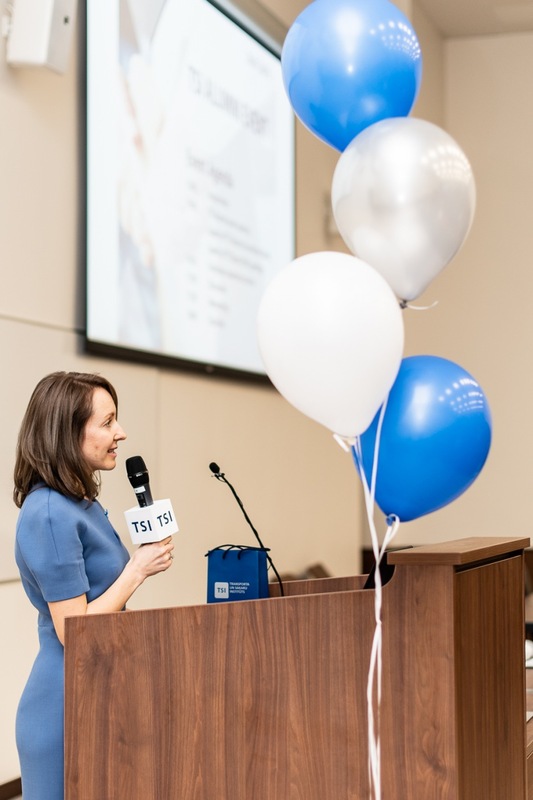 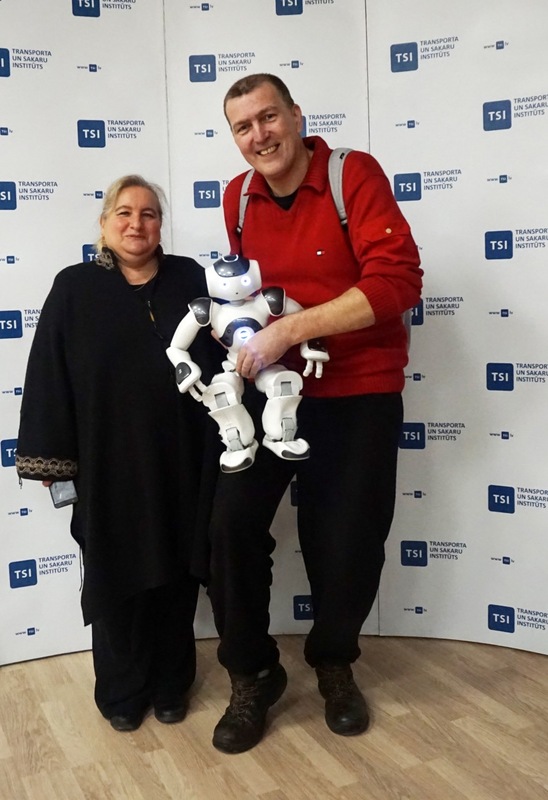 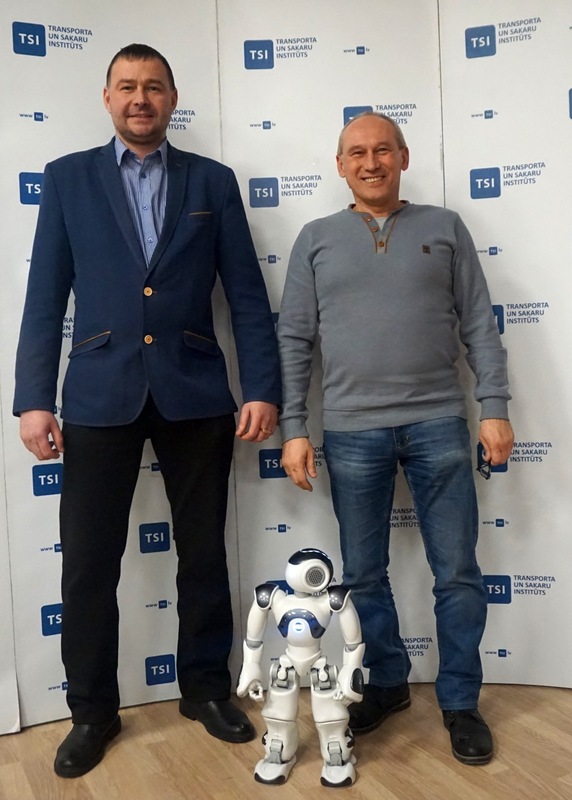 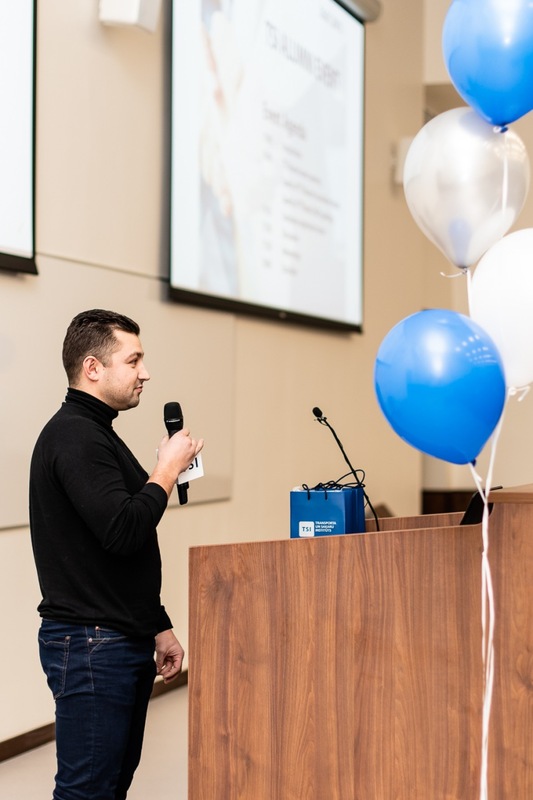 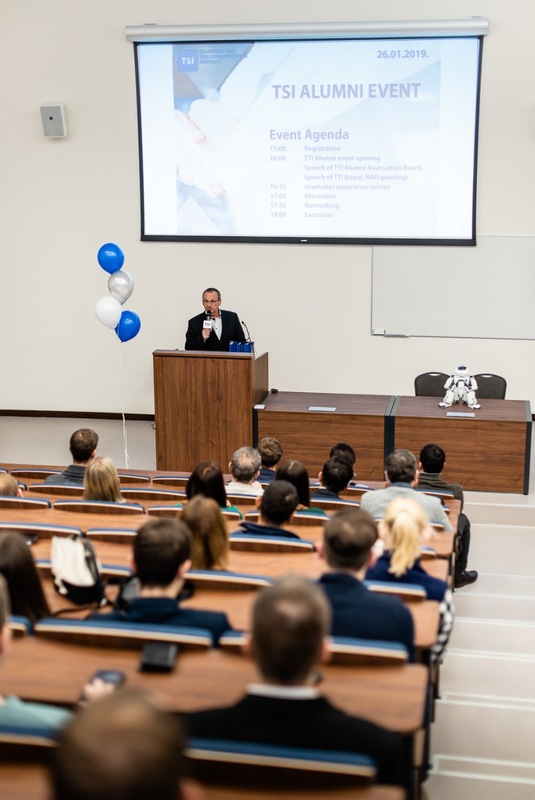 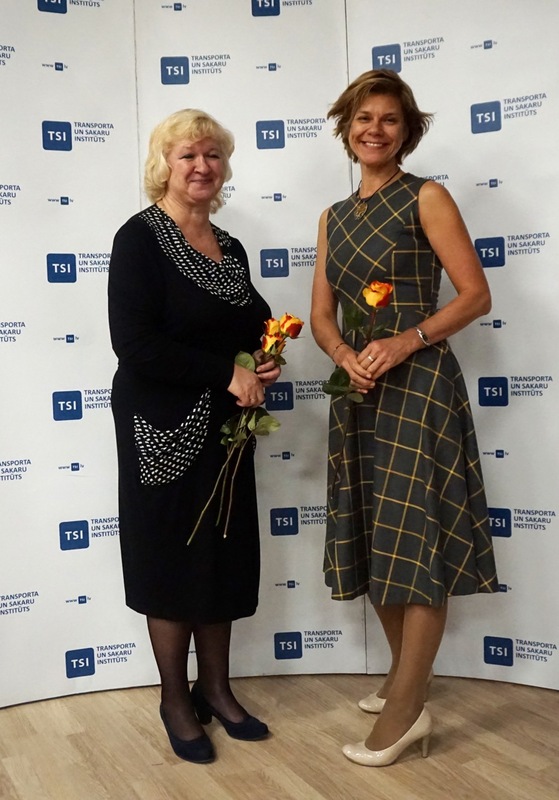 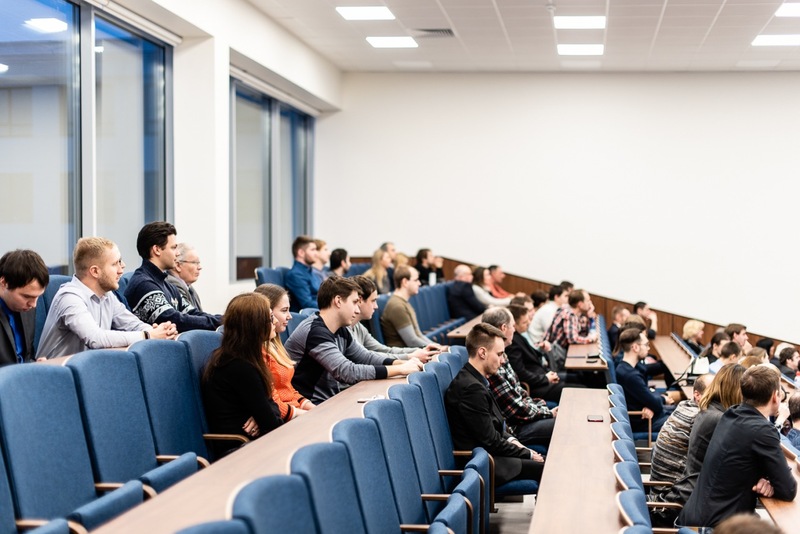 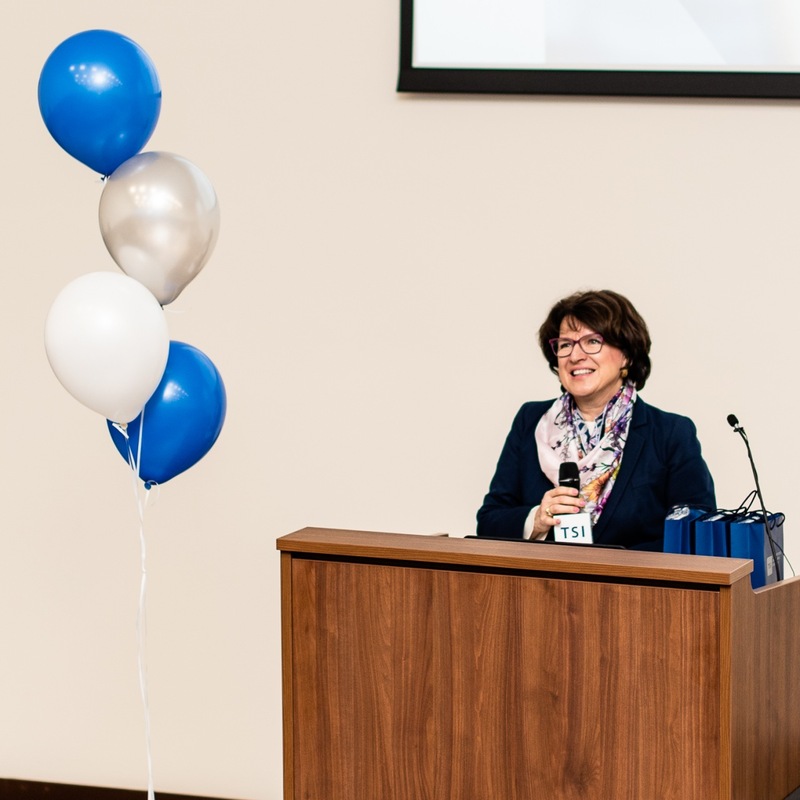 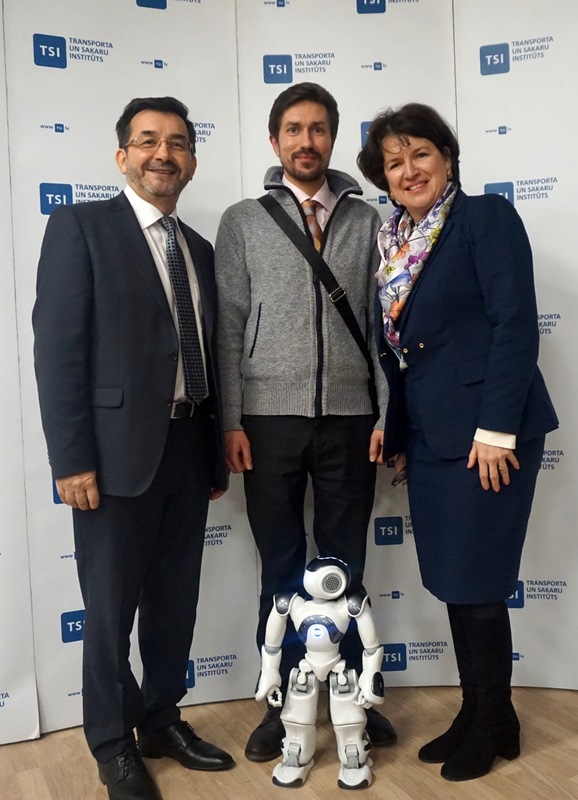 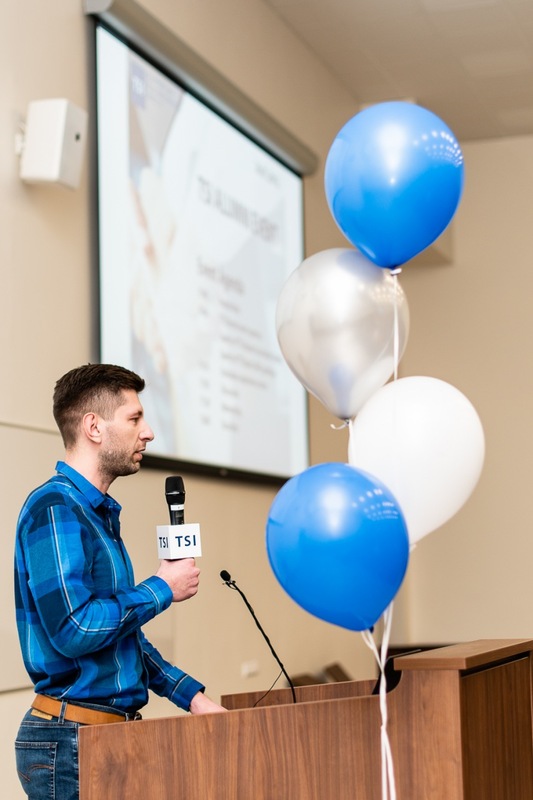 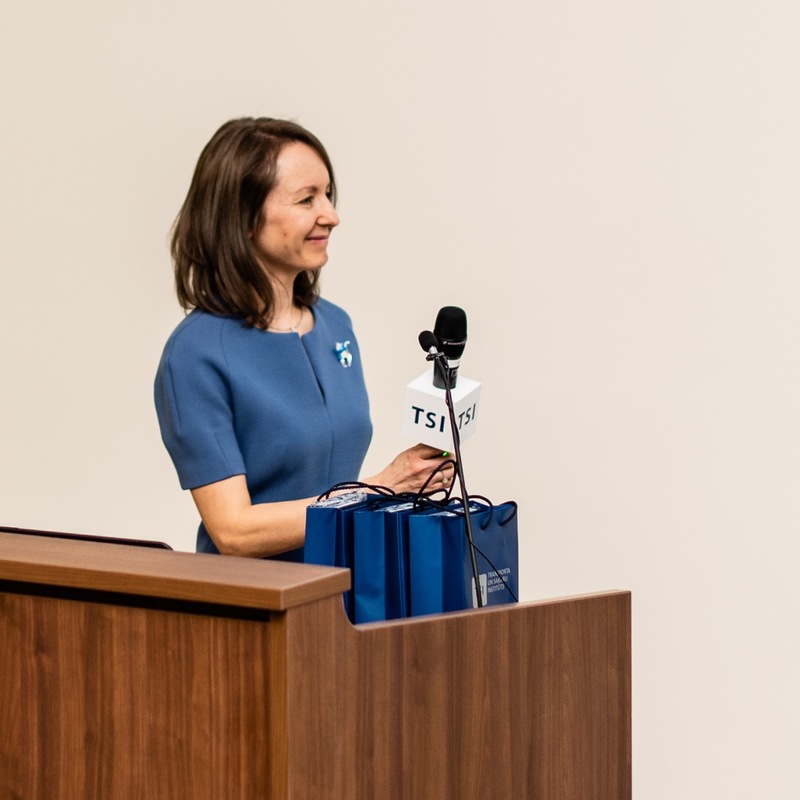 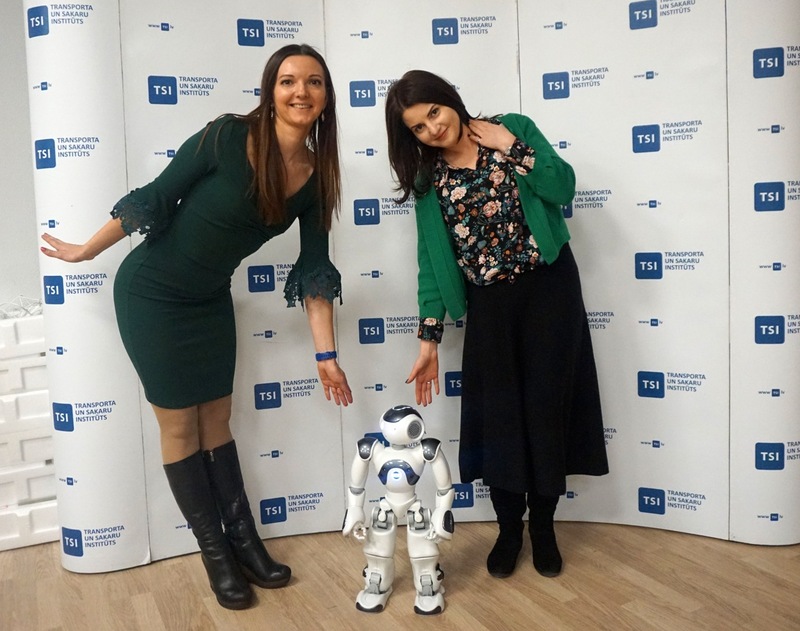 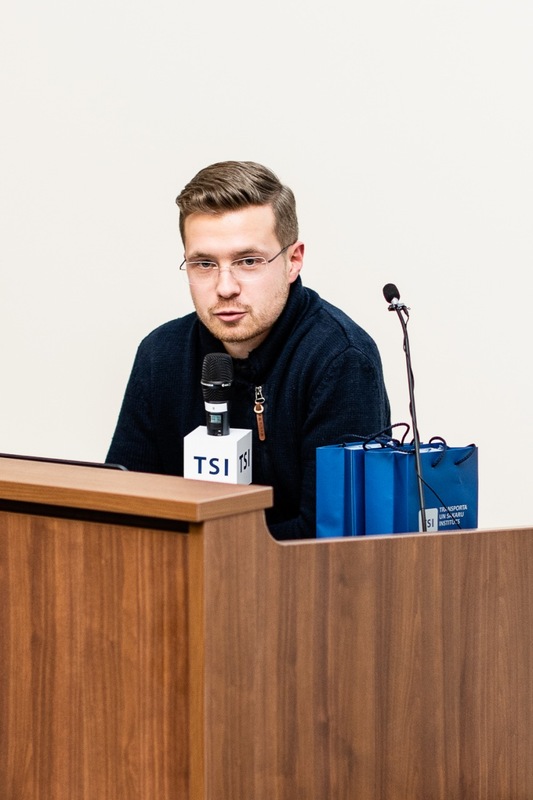 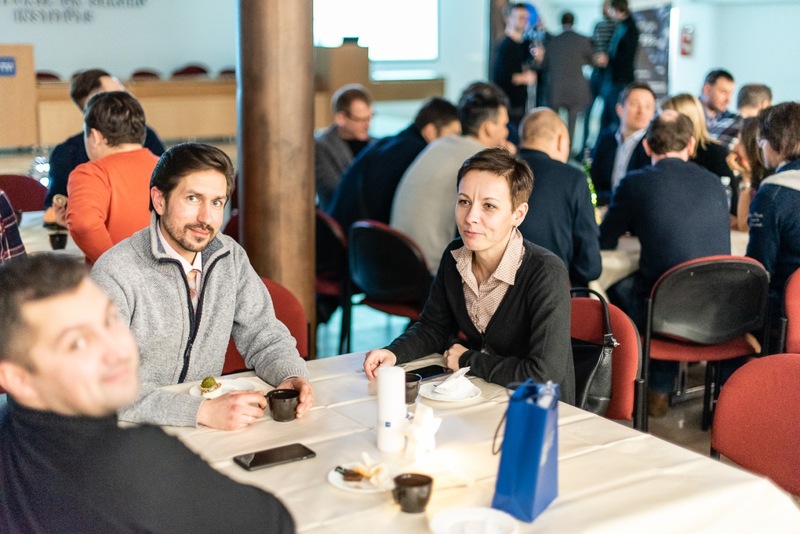 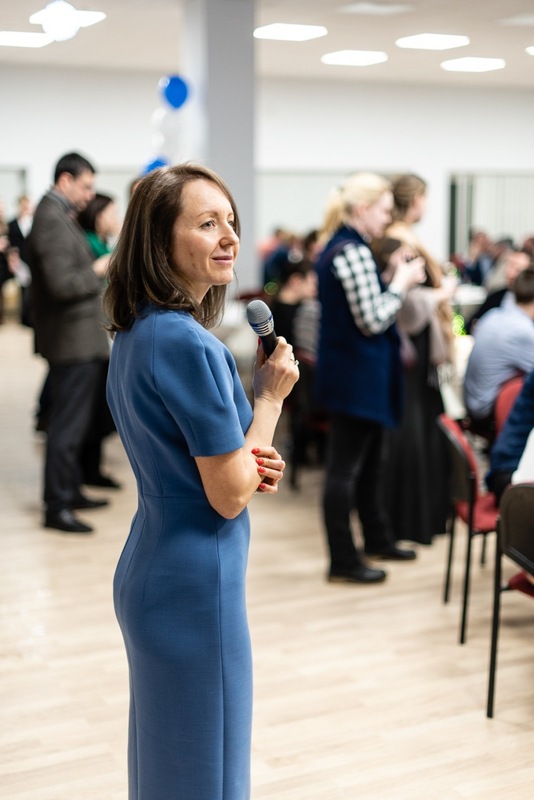 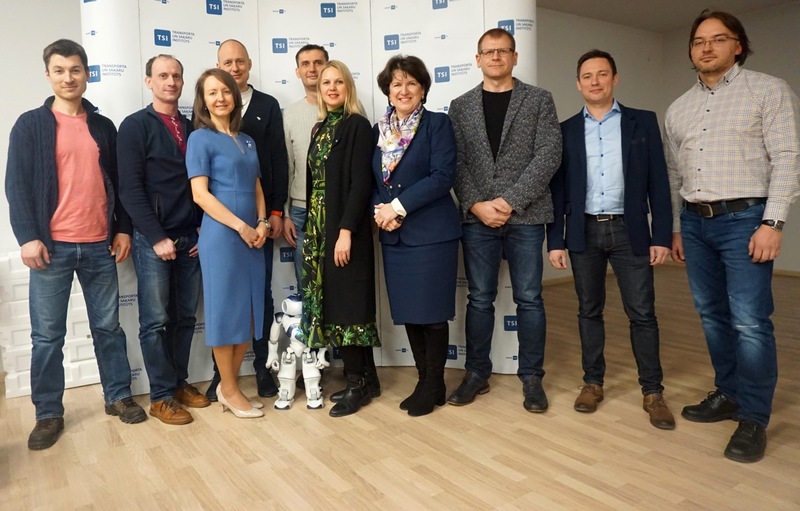 The event was opened by Vitali Borisenko, representative of the TSI Alumni Association and Prof.Irina Yatskiv, Chairwoman of the TSI Board, stating that the institute’s doors will always be open. 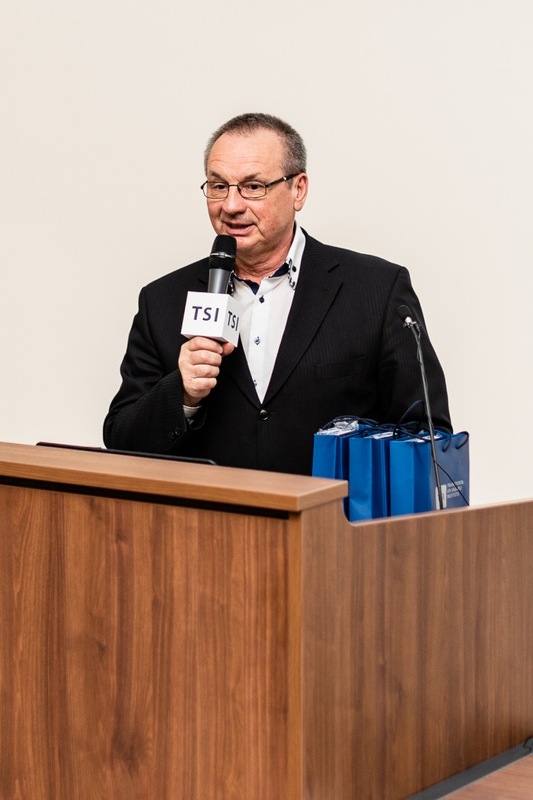 The Alumni’s were welcomed by Member of the TSI Board un Rector Juris Kanels, who informed about the latest developments in the institute. 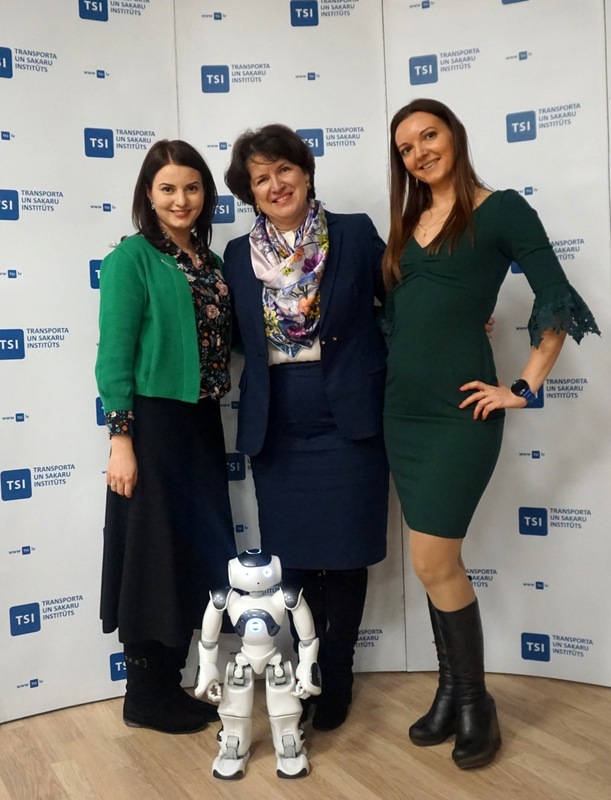 Professor, Head of Department of Software Engineering Irina Pticina shared a personal and inspirational story about why need to study Computer Science and IT. 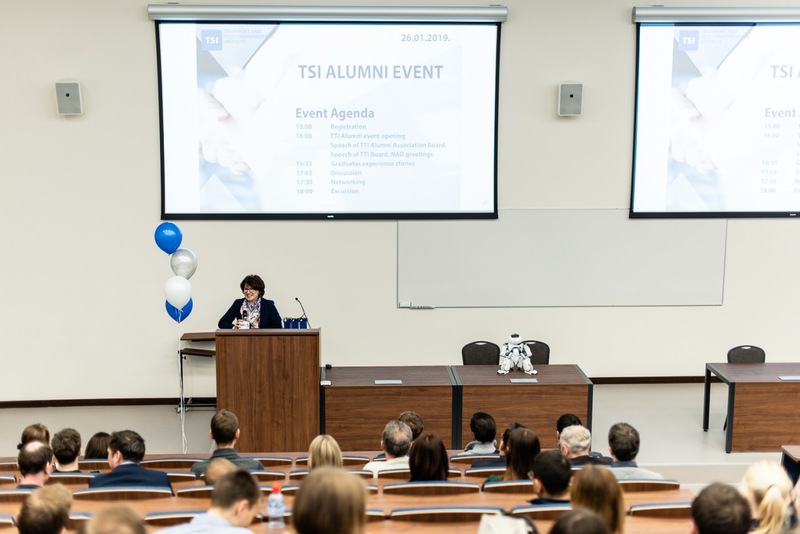 Alumni’s also shared their professional growth and experience stories. 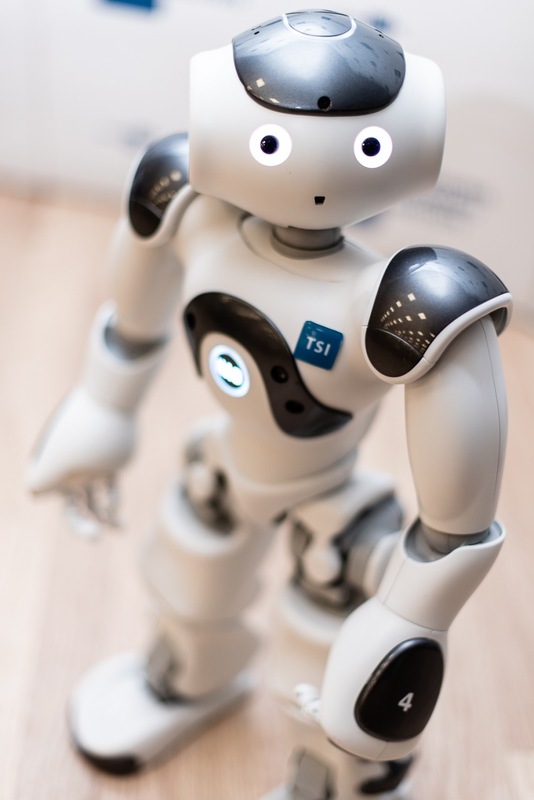 A special atmosphere was caused by the performances of robots NAO. 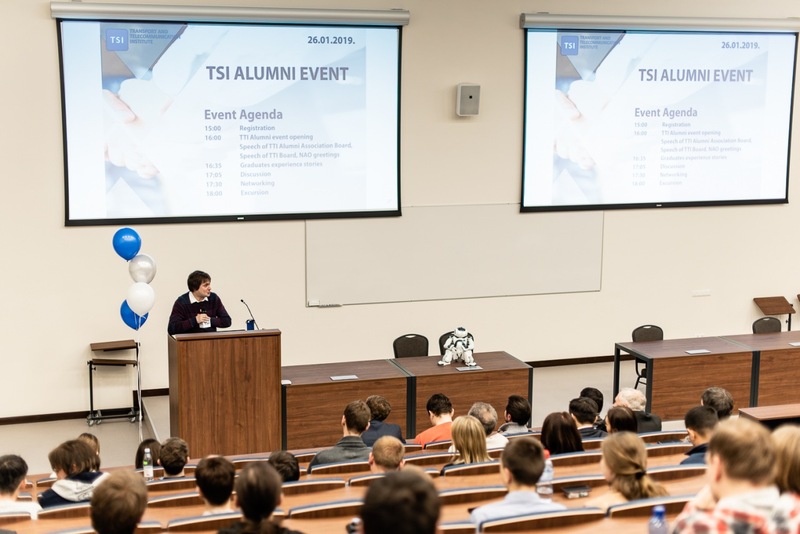 After the formal part, Alumni’s grouped photo all took part in the interactive game „How well do you know TSI?”. 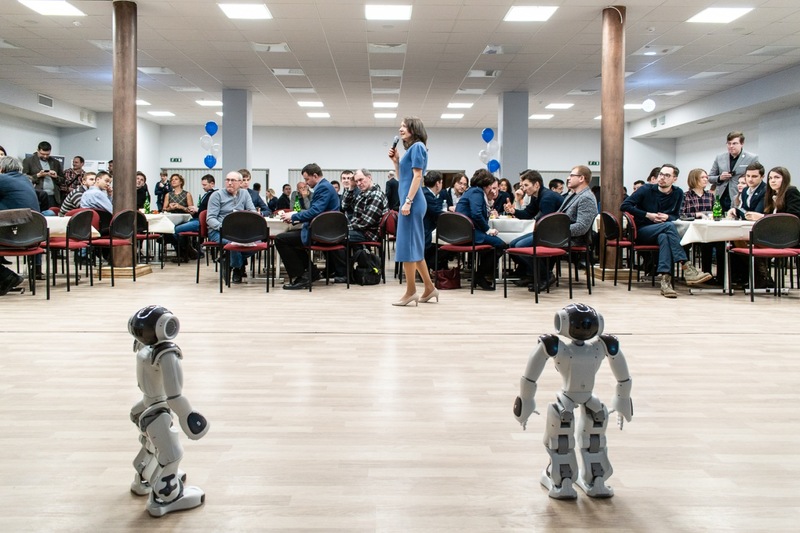 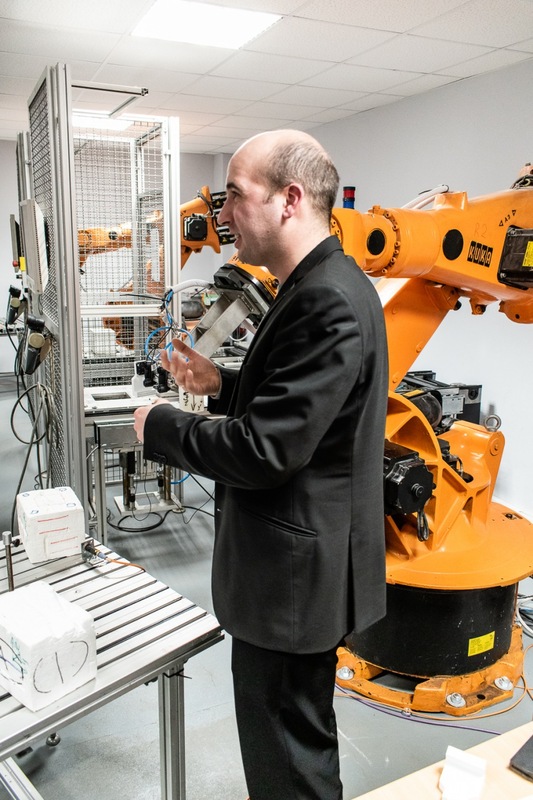 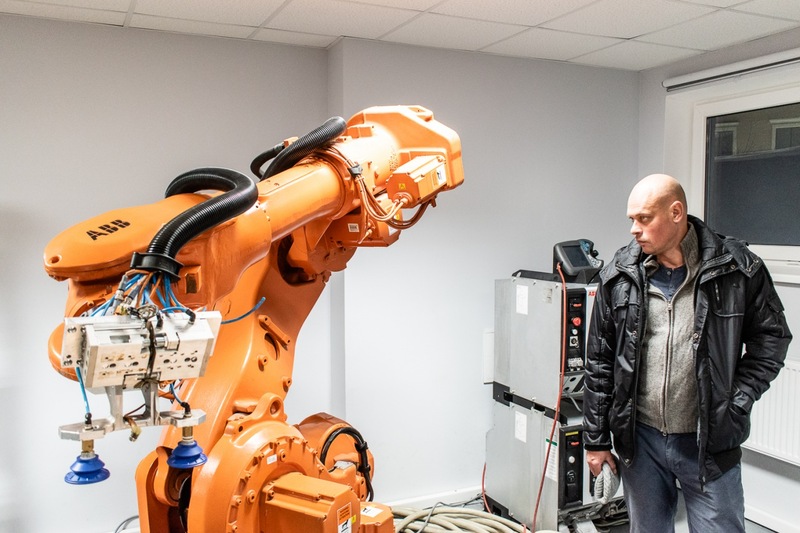 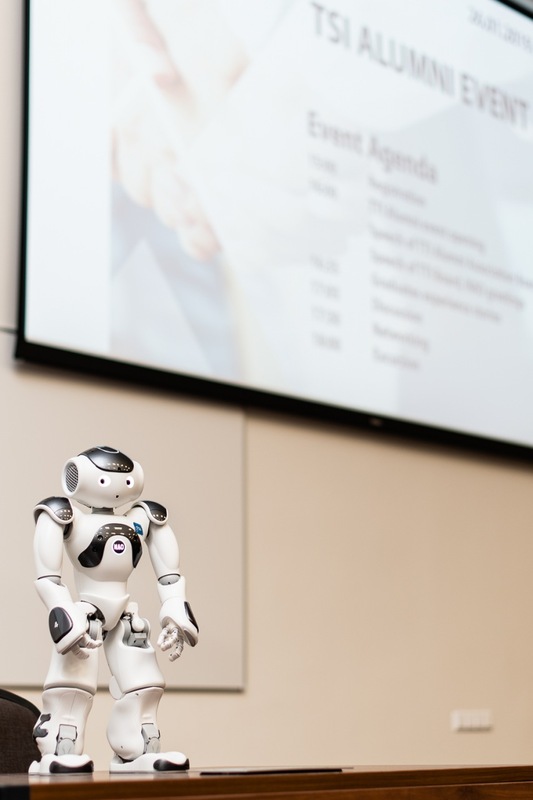 During the event most of the quests enjoyed excursion in Robotics Center. 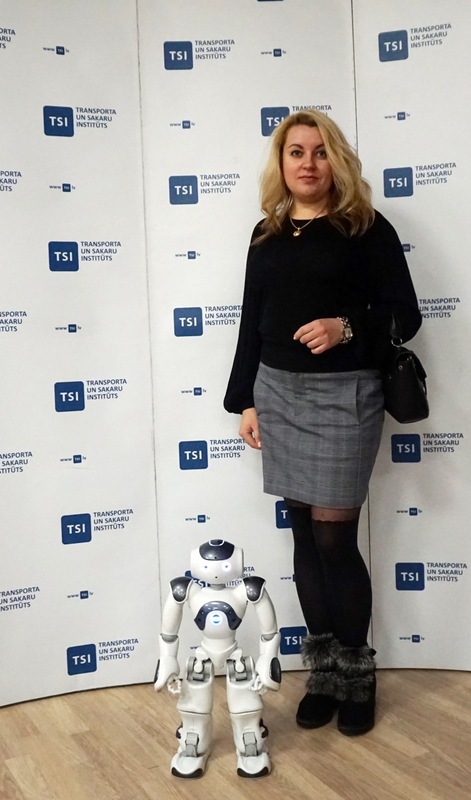 TSI says a big thanks to everyone who came!